A major change has taken place in the practice in the last 12 months with Barrie Scholefield retiring after 33 years. The two partners have enjoyed a happy and productive partnership over these years and although Barrie is missed as a work colleague, remains a good friend. Barrie is now enjoying an active retirement creating a new garden at home and having time to enjoy exploring Scotland and further afield. Following Barrie’s retirement we have closed the Paisley office and the practice is now based solely in Comrie. Christopher Palmer Associates are proud to report the opening of Benarty Skate Park at Ballingry, Fife. The practice provided design detail services acting as a sub-consultant to the contractor Alex Butter Landscaping Ltd.
Christopher Palmer Associates’ design proposal for a new plaza, adjacent to the entrance façade of the historic Edinburgh Corn Exchange venue has gained planning approval. The plaza has been proposed as part of a wider masterplan for the renowned complex, with Christopher Palmer Associates providing landscape consultancy as part of a multi-disciplinary design team, led by architects Fletcher Joseph. Cowie celebrated the opening of its new Skate Park on the 30th of April 2016! 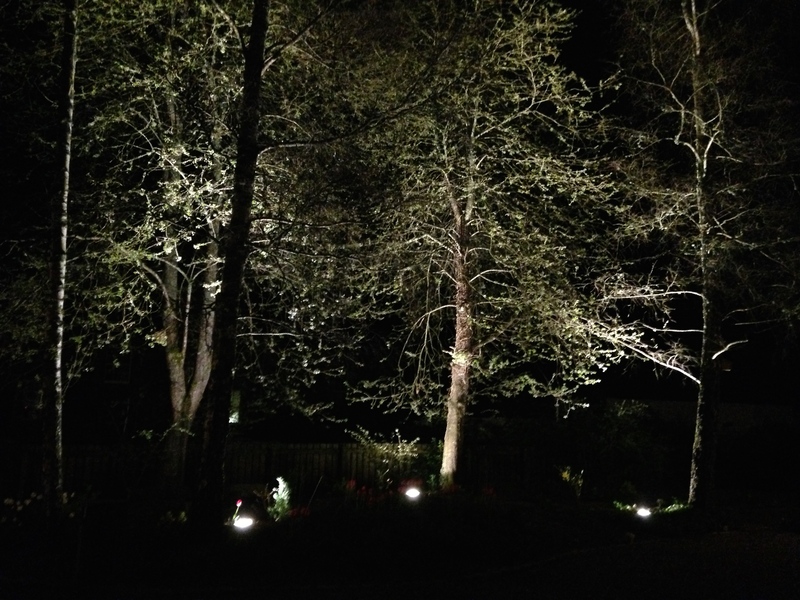 Christopher Palmer Associates provided design detail services acting as a sub-consultant to the contractor Alex Butter Landscaping Ltd. Taking on the specimen design developed by Urban Design Futures, CPA have been working together with contractors, Alex Butter Landscaping Ltd. to construct a new skate park for the CRAGs community group in a public park in Cowie, Stirling. We are delighted to have begun the construction phase of the project which started in October and is progressing well. The design incorporates a large bowl feature, multiple ramps and other skate elements suitable for skateboards, BMX bikes and scooters as well as seating areas, all of which have been carefully integrated into the existing landform. Existing trees will be supplemented with new planting to ensure that the Skate Park fits its setting . The project also includes a new pedestrian link adjacent to the Skate Park, providing safe access for pupils to and from the new School across the park. 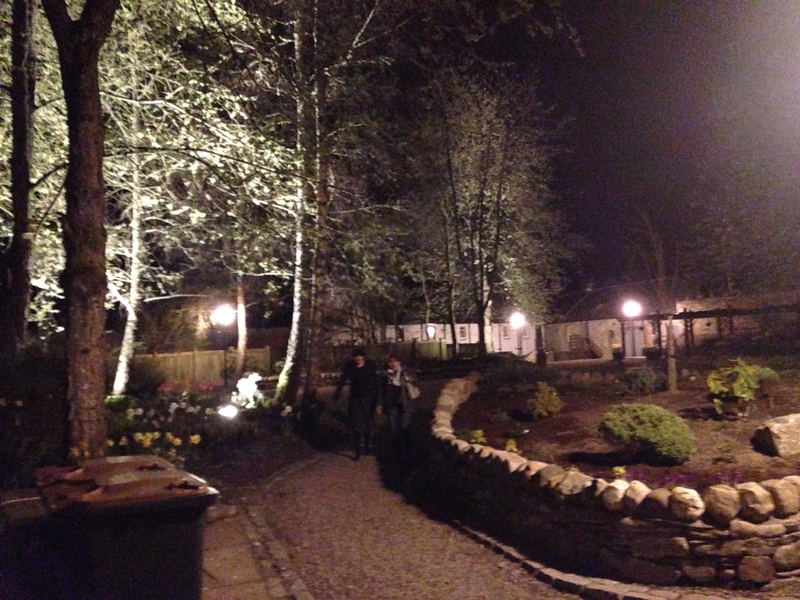 Lighting Installed at St Ninians Wynd Garden, Dunkeld. Planting Day at Kinnoull Primary School. 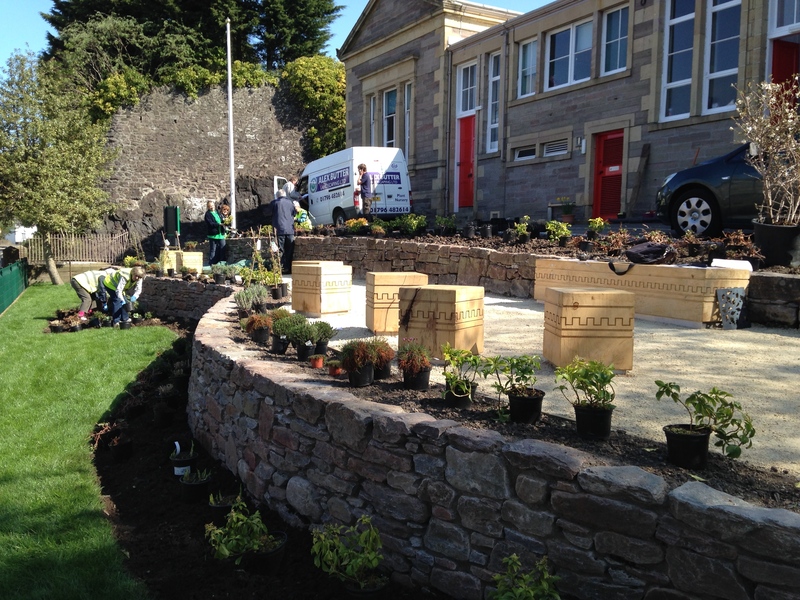 With the hard landscape works completed by Alex Butter Landscapes at Kinnoull Primary School, volunteers from Beautiful Perth and pupils from the School planted out mixed beds of ground cover shrubs and perennials specified by CPA last Friday. Alex Butter Landscapes who were also involved in the planting day had already completed works to the two retaining walls and the green oak cube seats for the project designed by CPA for Beautiful Perth. This year was a special year for Christopher Palmer Associates, it being the 30th anniversary of our formation in 1984. Our new updated website showcases & celebrates the scope of our past and current work in the fields of commercial, education, environment, health, housing, community projects, hotel and leisure landscapes as well as private gardens.